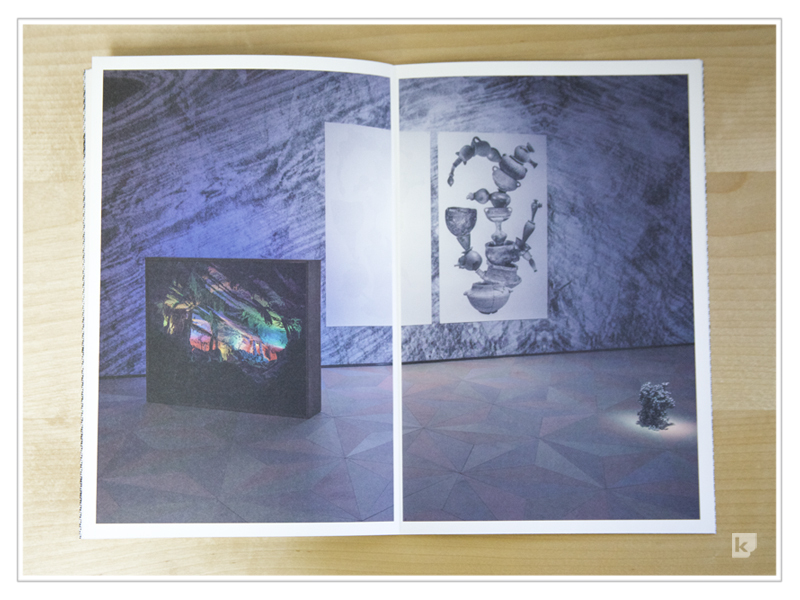 This catalogue features the work of artist Dan Hudson. Designed by Kelly Hartman of Hartman Design and produced by Kallen Printing in Calgary. The front cover and inside first page are both die cut. The square shapes overlap / align to create a peek-a-boo effect that reveals the opening title page. 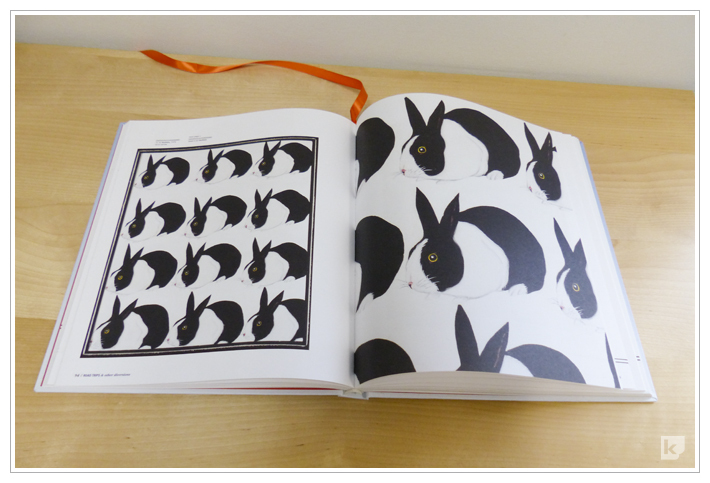 Printed on Eames Vellum Text and Cover that beautifully compliments the imagery. As you read through the catalogue, the small thumbnail images on each spread act as a flip book with changing video stills of Barrier Lake. Book, Bookmark, CD, Flocking, Catalogue, Award!! We're thrilled with this stunning 208 page hard cover book recently completed at Kallen Printing. 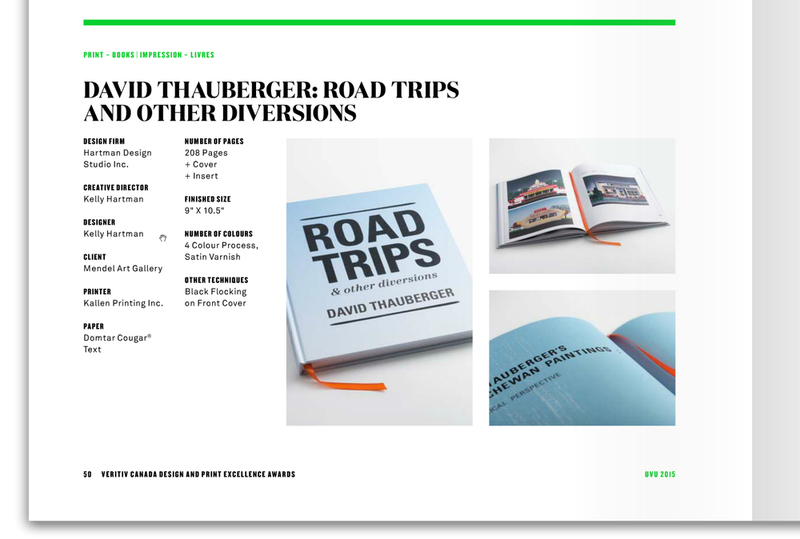 Designed by Hartman Design Studio, "Road Trips and Other Diversions" features the artwork of renowned Saskatchewan artist, David Thauberger. The artist's work consists of a huge collection of buildings, from small town shops and homes to quonset huts and churches. The portrayal of regionalism and Saskatchewan vernacular had a stirring sense of approachability and homeyness. 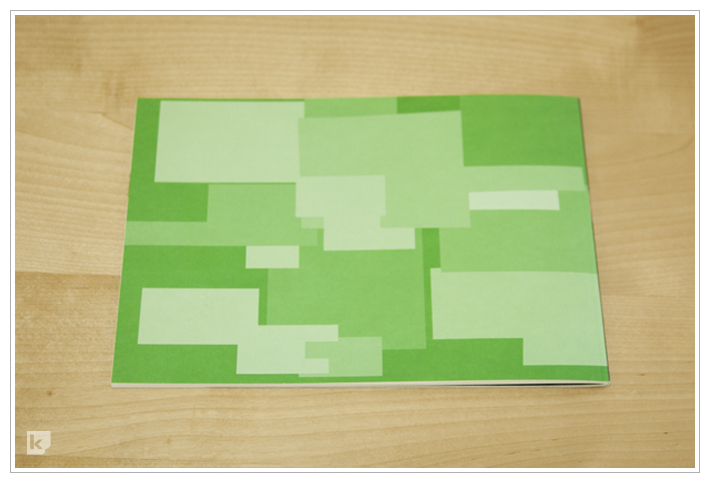 The uncoated paper throughout was chosen to support this feeling of accessibility. The front cover type includes "flocking" a tactile, black velvet-like treatment that the artist often used in his printmaking. 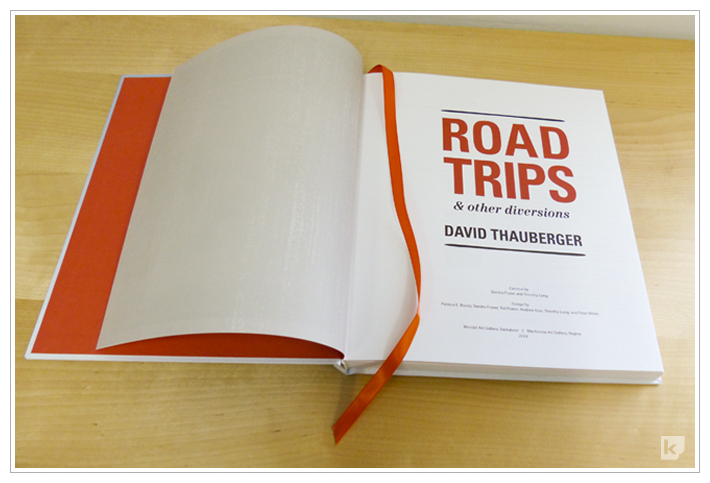 Also featured are orange end papers, a matching orange ribbon and a CD inserted at the rear of the book. uVU 2015 Catalog - pg. 50 - uVU 2015 Winner!